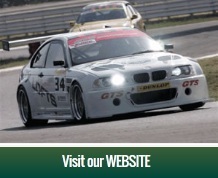 GTS Motorsport are one of the most experienced and successful race car preparation teams in England. We are a specialist in the iconic BMW M3 from E30 to E92. With over 30 years' experience at the very highest levels of racing (including BTCC), a race-winning pedigree, and a talented and committed team, we are able to offer the full race preparation, tuning, and trackside support service for your car. We have worked with some of the biggest names in UK motor sport, but are friendly and down-to-earth in our approach. Our cars regularly win races, whether in modern Saloon or Historic Racing.From our easily accessible base, near Solihull in the West Midlands, we are ideally placed for much of the UK. Why not contact us, and find out what we can do for you! 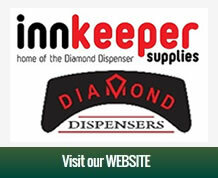 At Innkeeper Supplies, we provide a comprehensive range of products and services into the professional hospitality sector. These include:Specialist Barware plus products like Stainless Steel Champagne Bowls,Vacuum Wine Pumps,Conical Mesh Cocktail Strainers and more.Branded promotional merchandise. All delivered by people who have an in depth knowledge, experience and expertise of the alcoholic drinks industry and are passionate about building brand partnerships. 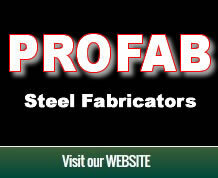 We are a well established and well known Midlands toolmakers who have built up an enviable reputation in the industry. 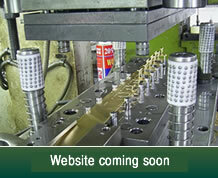 We design and manufacture : Clip tools, Press Tools, Jigs, Fixtures and Fabrications. We also manufacture Dies and Moulds, High Pressure, Low Pressure and Gravity. We also build special purpose machines. For a competitive quotation please call or email us with your requirements, we aim to please ! 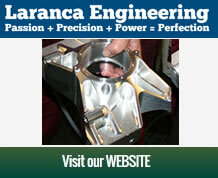 Laranca is a precision engineering facility, coupled with a highly skilled team of engineers, offering 'Commission to Completion' production of exact tolerance machined parts for high performance industries such as F1 motorsport and aerospace. We have a background in and extensive knowledge and experience of motorsport engineering and part of our works are given over to a complete race car support facility. If you are interested in historic racing, you'll find everything you need right here. Laranca BMW Racing Team run four historic touring cars. This is a professional standard outfit ably partnered by Arrows team founder and Le Mans winner, Jackie Oliver. Established in 2000, we are a dynamic, professional, Midlands based engineering company with over 100 years engineering experience between us.We specialise in the supply and machining of Aluminium extrusion as well as mild steel, other non-ferrous metals and plastics. We know our customers well and we understand how important it is to listen and work closely with them to ensure we meet all of their needs.We welcome the opportunity to be involved in your products right from the design stage. 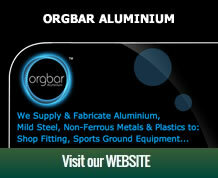 Nationally recognised within the Aluminium Industry. Orgbar's skills together with purchasing from our global partners means we often reduce costs of both the extrusion and the extrusion dies. Tree Pruning, Paving, Fencing, General Gardening, Lawn Cutting and Treatments, Landscaping, and much more ! 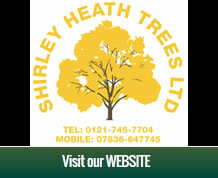 If you are looking for an experienced tree surgeon with the expertise to take care of any tree, we can help. From pruning and maintenance, to complete tree removal, we offer a range of services which are designed to keep your garden as green and healthy as possible. As well as taking care of your trees, we also offer a variety of other services for both domestic and commercial clients alike. From erecting a new fence to laying a path or mowing a lawn, you can trust our team to keep your outside space looking at its best. We have been established since 2003 and since then have built up a reputation for reliability, quality and competitiveness within the sheet metal and welding industry. Although we are a relatively small independant metal fabrication specialist, we can provide a huge range of steelwork from one-off bespoke fabrications to multiple units for vehicles such as trains and buses to commercial work including staircases and door shutters. Our skills include welding in a variety of metals including stainless and aluminium. We can offer a full service from design and manufacture to deliver and install if required. 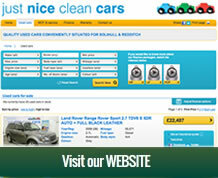 We have a wealth of experience on offer so whatever your requirements, please give us a call !